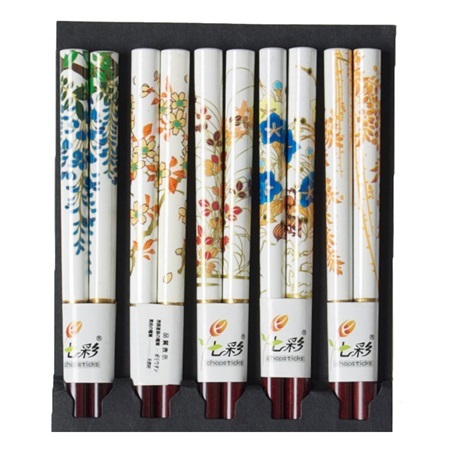 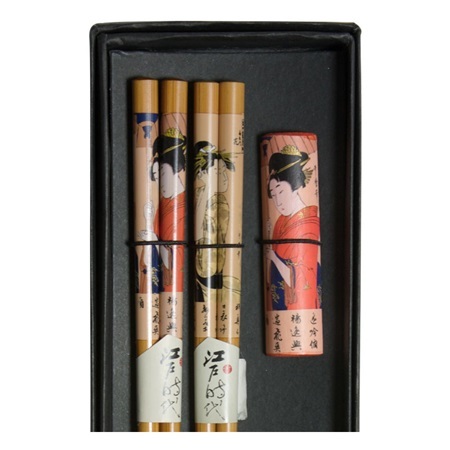 Our regular chopstick sets are packaged in a clear plastic bag with a headear. 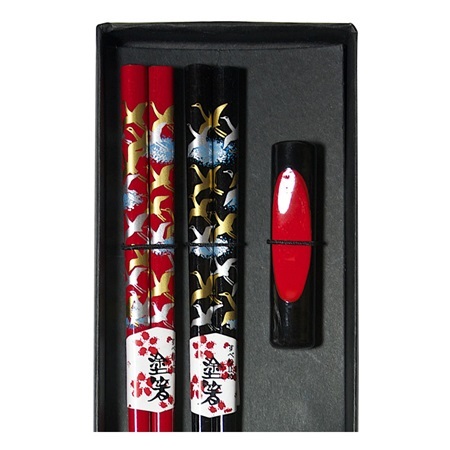 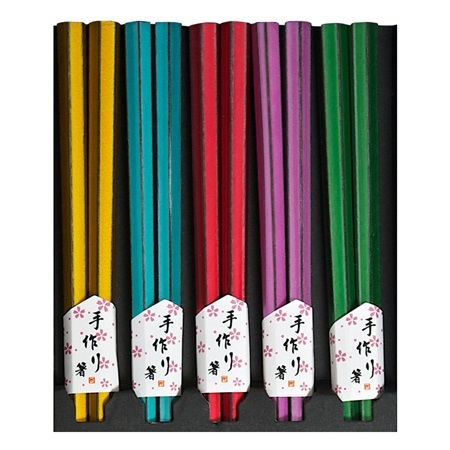 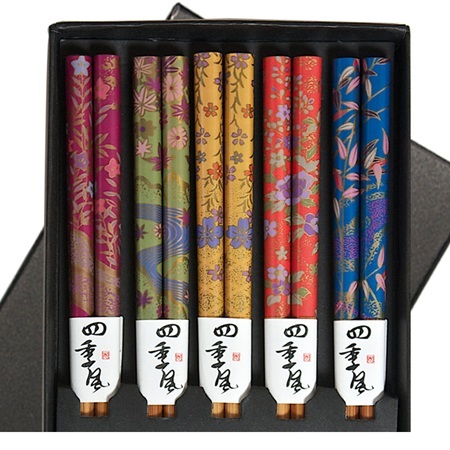 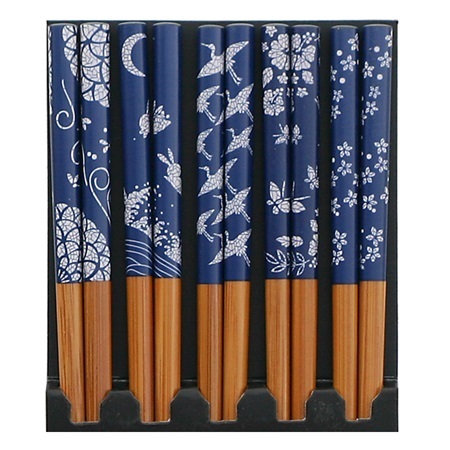 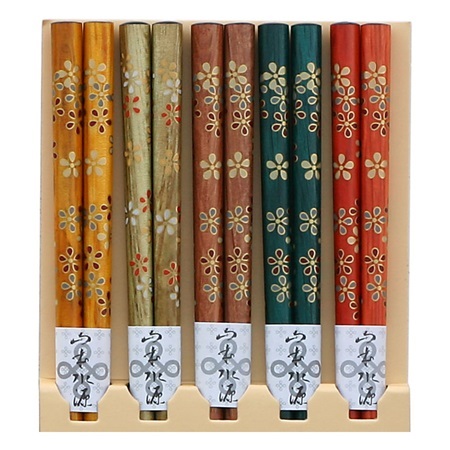 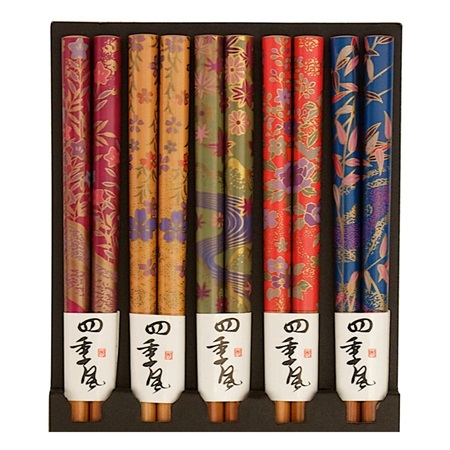 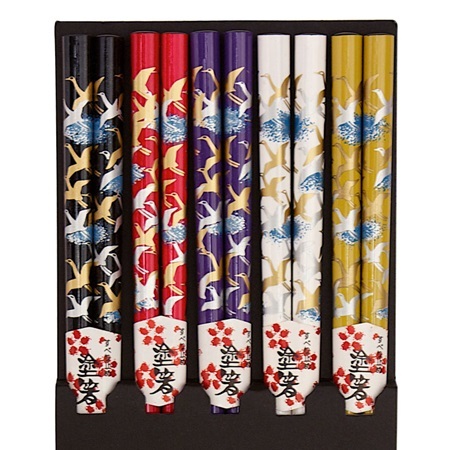 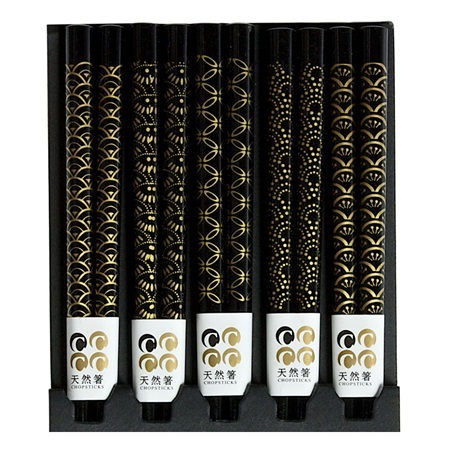 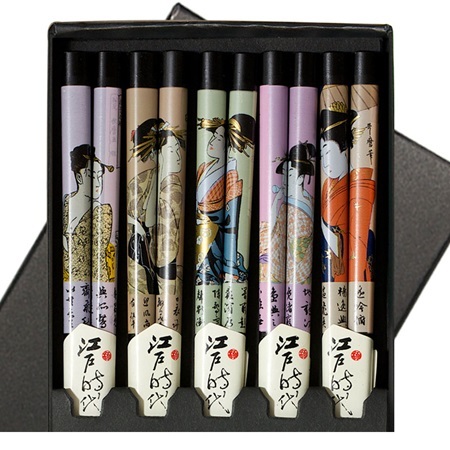 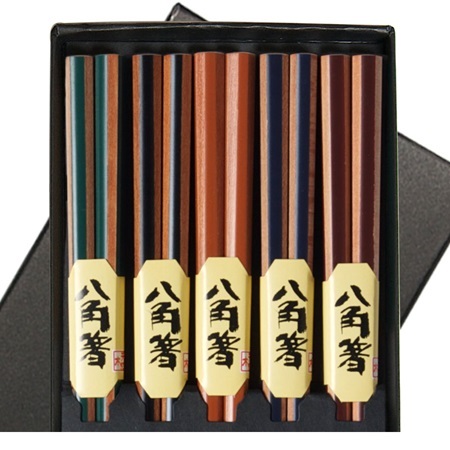 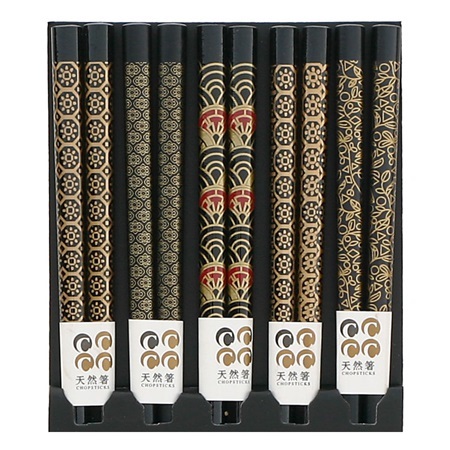 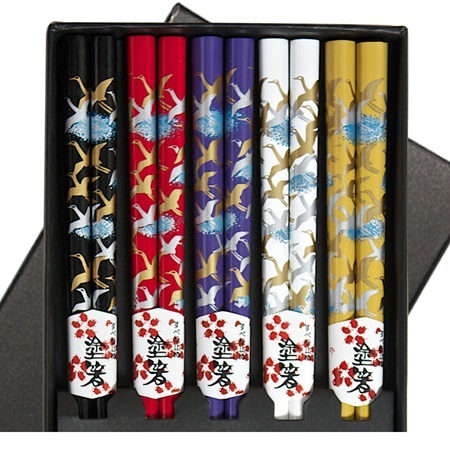 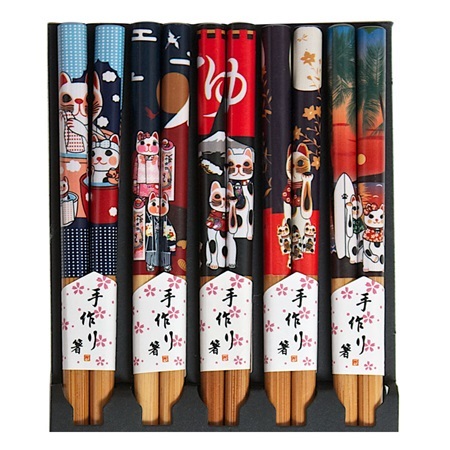 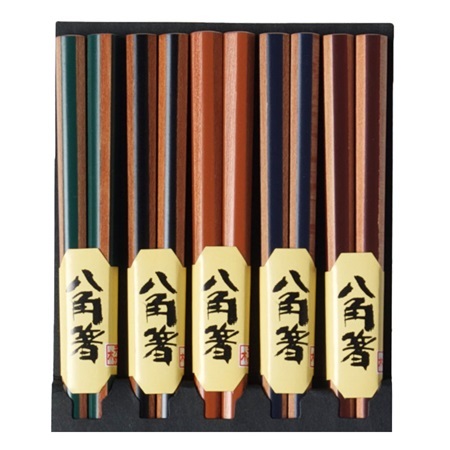 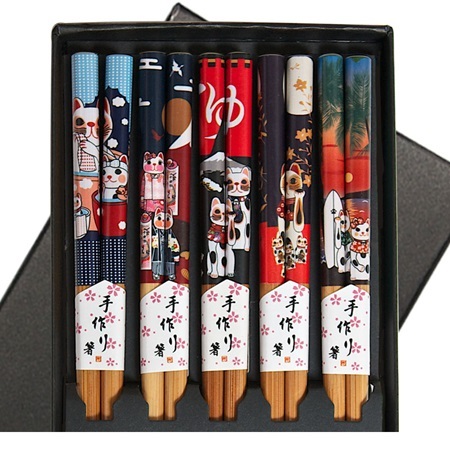 Chopstick sets with a "B" after item number are packaged in a clear bags with no headers in a black gift box, which makes a perfect small housewarming, hostess or any special occasion gift! 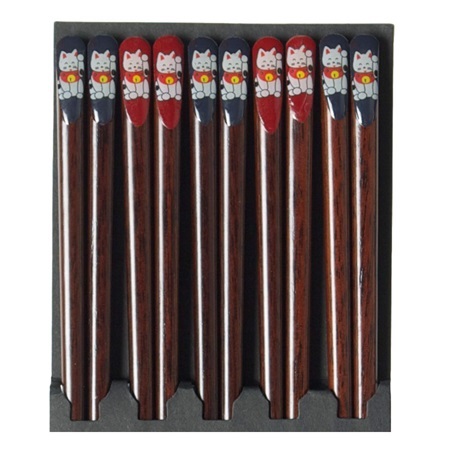 Made in China.